Artificial Intelligence can do anything! Data is the new oil! And there always is much hocus pocus around it. Sounds familiar? Does you think it's annoying? Then we have something in common! I am certain that Artificial Intelligence is important and that can be usefully applied almost universally. But it should not be glorified to a magic trick and one should not just explain trivial applications. One of the great, open secrets of most AI applications is that there is little mystery in them once you take a closer look. You want to see quickly if and how you can use AI for your tasks at hand? You want to understand your AI application? You want to be in charge of the next steps? Whether you want to take charge yourself or prefer to get support? You want to keep full control of your data? You want to build your own AI capabilities while solving your tasks at hand? Then MathInf is right for you! We cooperate on equal footing. We already begin creating valuable models during the training workshops. We use your data from the start (if you want to). In the preperatory discussions we agree on your goals, the task we want to embark on, and your data. In our workshop we study the AI techniques for solving the tasks. We prepare code in advance to live experiment with them to explore the background of the methods and how they work in detail. You receive all material, including the program codes, to use at your discretion. In all our trainings, email support for the trainign topics is included. Our workshops aim to boost your project. After the workshop we have a solid basis to plan the implementation of your project. You can decide how much you want to do on your own and where our support helps you to get even better results. Thomas accessibly explains complex topics to their full depth. As one of the PyTorch core developers he is extremely efficient and thorough in implementing AI models. He is one of the most talented developers with whom I have worked. Find out whether our method works for your purpose. We use PyTorch, a leading open source platform for Artificial Intelligence to implement your AI application. 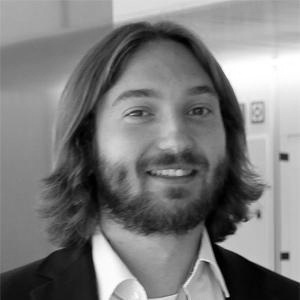 Thomas Viehmann is one of the leading independent PyTorch developers in the world. He brings deep expertise in PyTorch to the table to enable you to write efficient, idiomatic PyTorch code. In addition to inhouse workshops, for which we agree on the topics of your choice, we offer open trainings for certain topics (e.g. introductory, image processing, natural language processing, recommenders). Do contact us!